From version 5.2.0.3 onwards, AMEB's Online Exams software includes a 'Proxy Support' feature to assist our candidates in schools and other networks. This can cause some problems for Mac users when they attempt to open the software, depending on certain settings in their computer's System Preferences. 3. Once the 'Network' window has opened, look at the lower left-hand corner of this window. Can you see a 'lock' symbol? If not, please continue to step 4. If so, click on the 'lock' symbol in order to allow changes to your computer's settings to be made. You will be prompted to enter the User Name and Password of your computer's administrator account - you may need to ask the owner of the computer (sometimes a parent or a teacher) to make this change. Once this symbol is unlocked, please continue to step 4. 7. 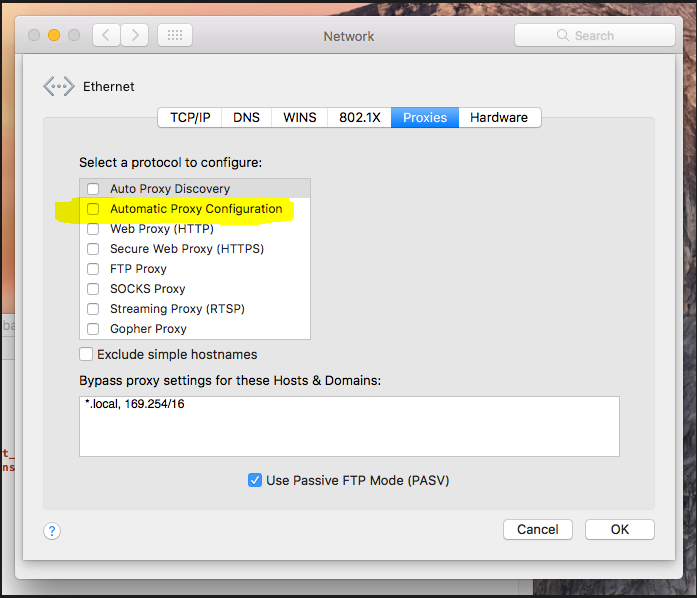 In the menu entitled 'Select a protocol to configure:' locate the items 'Auto Proxy Discovery' and 'Automatic Proxy Configuration'. These should be disabled. If either has a blue tick in the box next to the menu item, click on the tick-box to disable it. 8. You should then be returned to the 'Network' window. Click 'Apply' to complete the changes. Please note that if you use your computer regularly in different network environments, such as schools or libraries, you may need to turn the 'Auto Proxy Discovery' and 'Automatic Proxy Configuration' features back on in order for your computer to be compatible with these environments. To do this, follow all the same steps, re-selecting them and then applying the changes once again. If you continue to experience difficulty with the software, please contact AMEB via online@ameb.edu.au or call 1300 725 709 to speak with our support staff. Celebrating 100 years of supporting, inspiring & advancing a life-long engagement with music in Australia. © 1918 - 2019 Australian Music Examinations Board. All Rights Reserved.